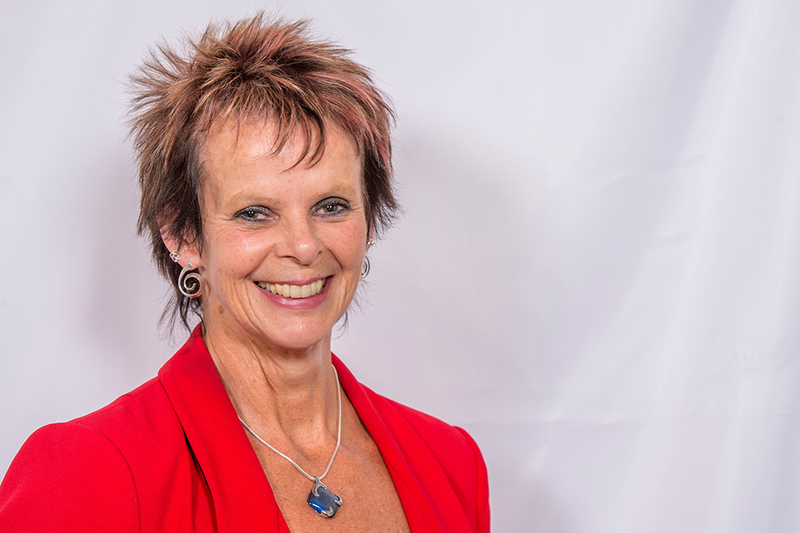 Below is the text of the speech made by Anne Milton, the Minister for Apprenticeships and Skills, at the Sixth Form Colleges Association conference on 17 January 2018. Thank you Bill for that very kind introduction, and for giving me the opportunity to speak here today. The work that you and your colleagues do to transform the lives of young people is so important for them and for the country. You change lives. As I have said before, I am determined to see the sixth form sector get the recognition it deserves. Indeed it is well earned – the work you do transforms lives. It probably should go without saying that I value the key role that Sixth Form Colleges and 16-19 academies have to play in post-16 education and I want to work with you to achieve so you can deliver outstanding outcomes for everyone. But I am saying it anyway! I think it is important to restate. Our shared vision of a sixth form sector that includes great colleges and academies with excellent teachers, embedded in communities, can only be reached if we work together. I will always be your advocate in Government. That’s what Ministers are there for. I know you have brilliant support from your local MPs whatever political party they belong to. If you have that don’t underestimate it. It is not just about great places to study, it’s also how you, as educators of sixth formers, respond to the social and economic challenges that we face as a country today: helping to tackle disadvantage, increasing social mobility and training our future leaders. We have significant challenges and there is a focus on the introduction of T-levels and apprenticeships. But, that shouldn’t and doesn’t eclipse how crucial the curriculum you deliver to a significant number of our children is. We want all post-16 education to be prestigious and you are the key leaders in providing consistency and continuity up to and beyond the introduction of T-levels, encouraging pupils into the direction that is right for them and allowing them to be achieve their potential. You know, and I know, how powerful the education and the college environment you provide is for social mobility. Social mobility is dependent on education. A few succeed without it – we all know of exceptions – but for the vast majority of us, social mobility doesn’t happen without education. You are there for young people who wish to pursue further education, particularly in academic subjects, and who are ready to study somewhere that is not school. That is also at the heart of the Department’s work: extending opportunity, giving a real choice to young people and unlocking ambition for everyone. Our recently published Social Mobility Action Plan – Unlocking Talent, Fulfilling Potential – talked about a high quality post-16 education choice for all young people. We have more people going to university than ever before, including more disadvantaged young people, but we need to expand access further to the best universities. We need rewarding careers and jobs that develop the potential of everyone. In December, I was very pleased to launch the Government’s careers strategy. It sets out a long-term plan to build a world-class careers system that will help young people and adults choose the career that’s right for them. This was a long time waiting for an announcement. For me the front cover says it all. Skills is the largest word. The strategy aims for every school and college to have an excellent dedicated Careers Leader and you can play your part working alongside schools, FE colleges, universities and other local organisations. For me, meeting the challenge of both making sure people are, and feel, they can change the direction of their lives – becoming socially mobile – is at the core of why I do this job. I will be your champion within government, ensuring your contribution and that drive for social mobility is understood. You have a key role in helping young people from disadvantaged backgrounds do well at university. And, by working together on this shared purpose, we are more likely to succeed. I try very hard never to use the word partnership, as it goes in the category of political clichés. But working together in a meaningful, constructive, dynamic and effective way matters. It can make a difference. At the Association of Colleges Conference, I spoke about changing the way we work together. I want to continue that discussion with you, both directly and through the Sixth Form College Association about your particular challenges and discuss any upcoming opportunities and how we can work together differently. There are three key areas that matter. The first of those is support: from Government, for the sector. Money matters, I know, but there are also other issues that can make a difference. Wherever we can, we want to harness capacity to improve from within the sector through collaboration, rather than relying on competition to achieve improvement. That’s what we are doing through the new Strategic College Improvement Fund and with the new National Leaders for Further Education programme. I am pleased that out of the six applications approved for the pilot phase of the Improvement Fund, two are from sixth form colleges. We have recently recruited the first of our new cohort of National Leaders and I am pleased that this includes Peter McGee from the outstanding St John Rigby Sixth Form College. He will work to help improvement in colleges. And for those of you that are academies, we have recently extended the Strategic Schools Improvement Fund so that it also covers all post-16 institutions. I said we want to harness capacity from within the sector through collaboration, but where that capacity doesn’t exist we will invest with these funds in programmes such as the Strategic College Improvement Fund and the National Leaders of Further Education. I know there is widespread concern about the level of funding for 16-19 year olds and in particular for those young people who will continue to follow academic programmes rather than taking new T-levels. When we made the commitment in the 2015 Spending Review to protect the base rate of £4,000 per student per year until at least 2020, that did set spending plans for the next few years and we are still operating within that Spending Review plan. You would like more, I know. With more you can do more. However, we have announced additional money as an incentive to grow participation in level 3 maths, with an extra £600 per year for those above the baseline. Again, there is potential here for sixth form colleges to benefit. Yes, we will always return to the question of funding in the longer term and will want to continue to talk to the sector about how to secure the high quality education all our young people need, but to do this in an sustainable and affordable way. Sixth form colleges undoubtedly have a key role in this. But I think you will agree that none of us can develop the best response to many of the biggest challenges we face if any of us work in isolation. Only by working together, will we realise our shared ambition of world class sixth form provision for everybody. Richard Atkins’ work as FE Commissioner is an example of this. You will know that I have recently extended his role to include sixth form colleges. As well as supporting sixth form colleges to overcome quality or finance issues, he will now step in to support colleges earlier to prevent quality or finance becoming issues in the first place. Richard has an outstanding record, raising standards and improving outcomes for learners, and his unique viewpoint has been of benefit to many colleges. As principal at Exeter College, Richard ensured the college delivered high quality A Level provision giving him insight into the challenges and benefits that come with that. For those of you that lead 16-19 academies, Regional Schools Commissioners play a similar role. The area review programme has also helped colleges to think differently. For example, Priestley College in Warrington, Cheshire was a trailblazer, converting to academy status as part of the newly formed The Challenge Academy Trust. Formalising some of the partnerships that emerged as part of the borough wide work during the area review, the Trust brings together existing academies and maintained schools. If we are to produce world-class provision, every educator in a region must work together for the good of their learners and local communities. Priestley College, at the centre of their learning community, is a shining example of this. The third area I want to touch on is the role you have to play within the local communities you serve, going further in looking outwards to your local communities. We should all strive to do more, to reach out to new ideas, to new relationships. We should not remain parochial, but always be looking for new ways to do things, such as innovative ways to make use of your collective resources for learners in your communities or being flexible and reaching out to other organisations and providers. Stale does not work. I am constantly looking for better ways of doing things. No wholesale change. But have we missed an opportunity? Could we extend the reach of good colleges? What about the children who find academic work a challenge? This is why I wanted to be an Education Minister – your Minister. Being open to new ways of thinking, being flexible around how we provide learning opportunities and having a learner centred focus will only improve what we are doing and what we are providing. As members of an increasingly diverse organisation, you being here today, continuing long-standing collaboration and beginning new ones with each other, will ensure that high quality post-16 education choice for all young people becomes a reality. As Ministers we are fortunate to have very helpful officials who draft us our speeches. And like many draft speeches, I read the conclusion ended with the words that “this is a hugely exciting and challenging time”. What does that mean? It is possibly political speak for the fact that the challenge is money. But I guess it is exciting too. Exciting because with the government focus on social mobility clear, we have a choice to change people’s lives. Without you – we cannot do this. Your hard work, your commitment and your belief in what you are doing will make that government focus on social mobility become a reality.